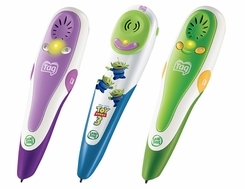 Learn to read, love to read with Tag - the amazing touch reading system that brings stories to life like never before. 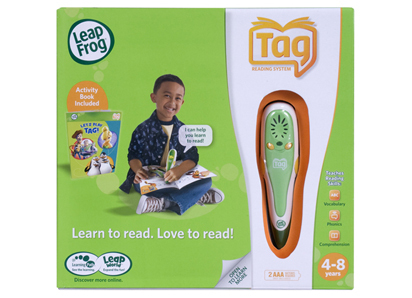 Now the #1 best-selling reading system, the Tag Reader is loved around the world with more than 28 awards in 6 countries. As children touch the Tag Reader to the pages of specially printed storybooks, words talk, pictures sing and stories live out loud, engaging children's senses to make reading a rich, fulfilling experience. And, with more than 40 books and games based on favorite TV, movie and classic tales, the Tag library has something for every reader.